Froglife are running a range of activities all across London and we’ll be working with people from all walks of life. 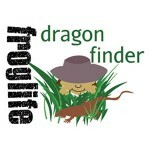 We want as many people as possible to get involved in wildlife conservation and we invite you to join us and see if you could become a Dragon Finder. There’s something for everyone, so regardless of your age, background or level of experience why not see what you could do to help protect the dragons in your local area? Take a look at our events page to see what’s coming up in your local area, or get in touch if you could like to find out more.